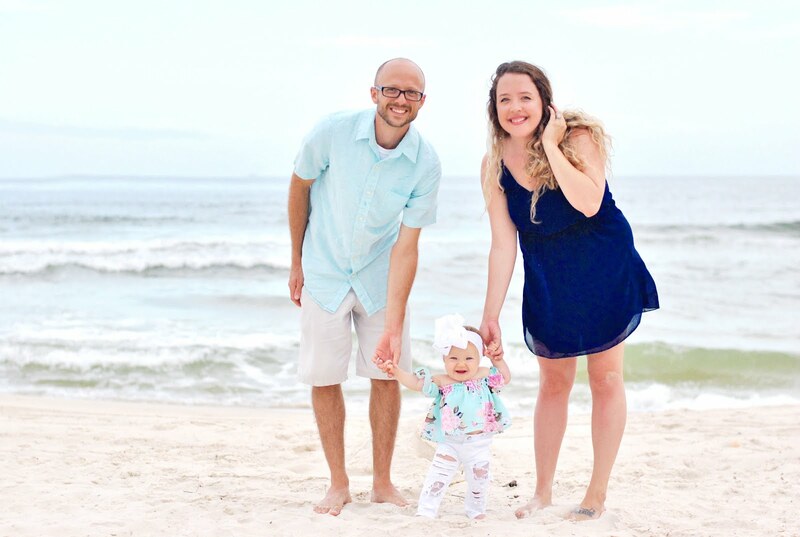 Summer is over but that doesn't mean I can't hold on to the taste of it with an impressively delicious Key Lime Pie with a Sugar Cookie Crust recipe. 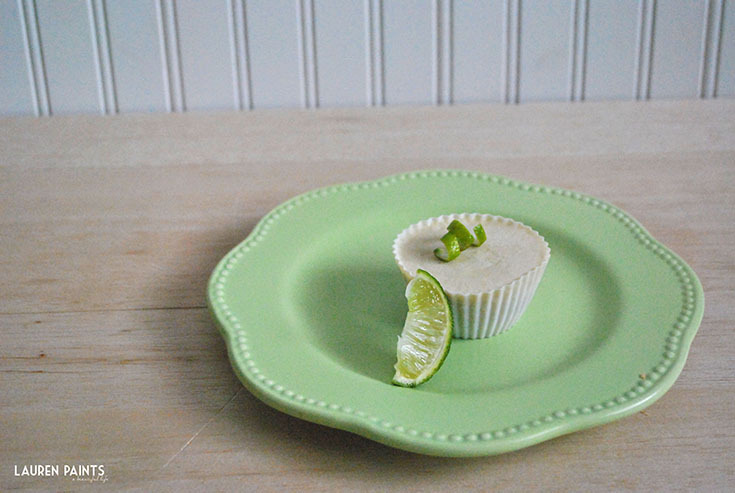 This recipe packs an amazing amount of tartness with the lime while satisfying your taste buds with a super sweet cookie crust... all while being fairly healthy since there is only ONE added cup of sugar in the recipe total. 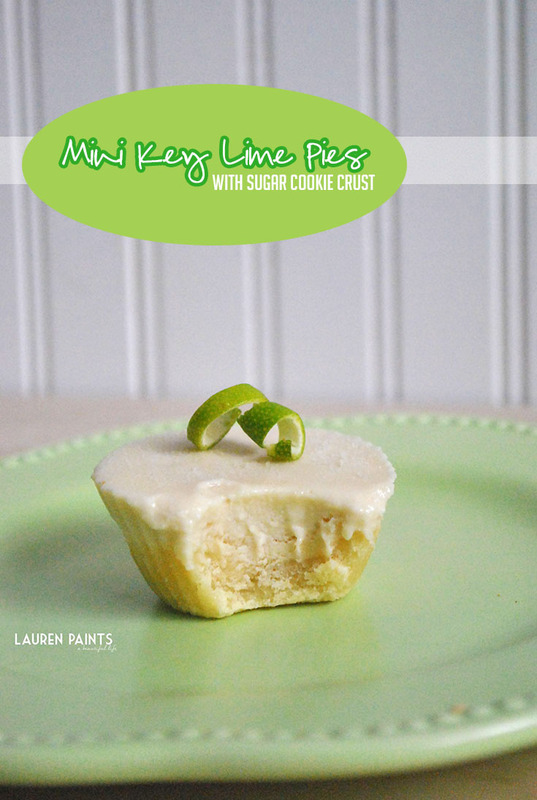 The creamy key lime pie filling matched with the Sugar cookie leave you craving more. If you are looking for something creamy and tart, a dish bound to WOW your guests, and lastly an easy recipe to make - I've got you covered. 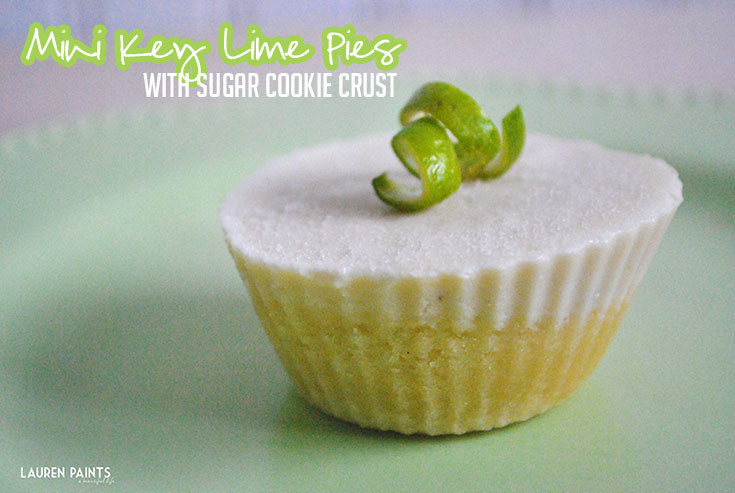 These Mini Key Lime Pies with Sugar Cookie Crust are sure to be a huge hit! 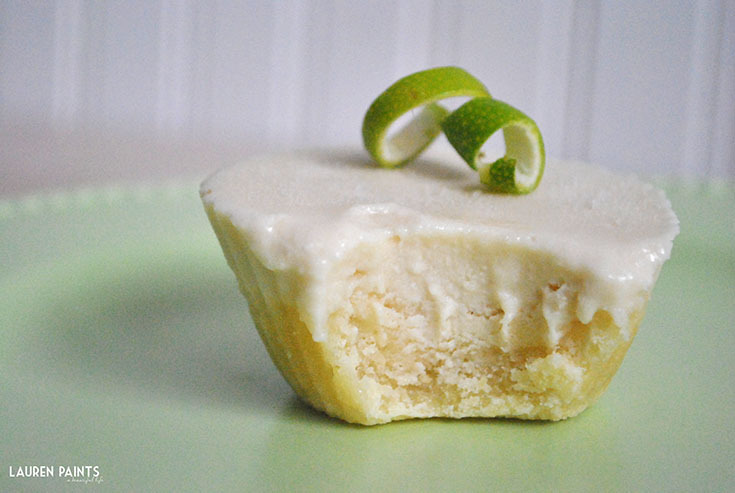 If you don't like Key Lime, choose a different filler... I'm thinking about making a batch of these with raspberries or pumpkin instead, because why not? I suppose I should mention this recipe uses cashews so if you have a nut allergy, beware! 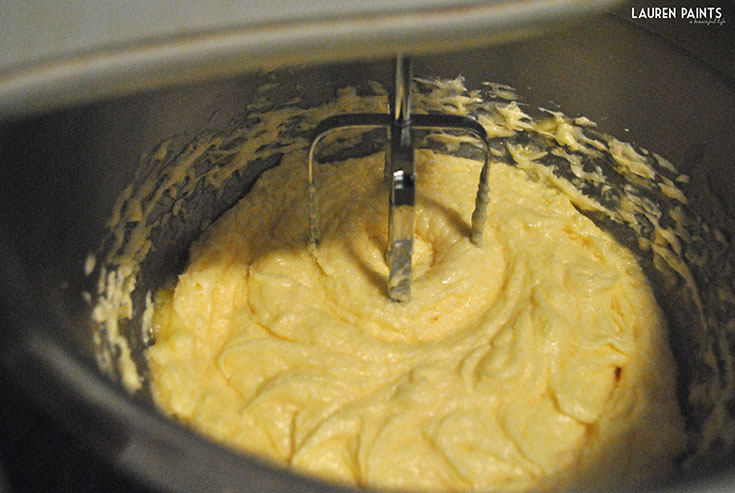 Begin by creaming together butter, sugar, eggs, vanilla. 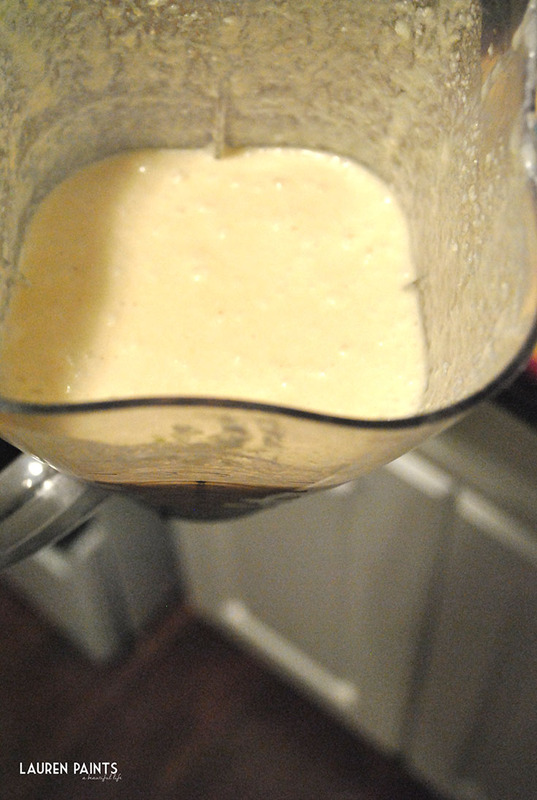 Then stir in sifted flour, baking soda, baking powder, and salt. 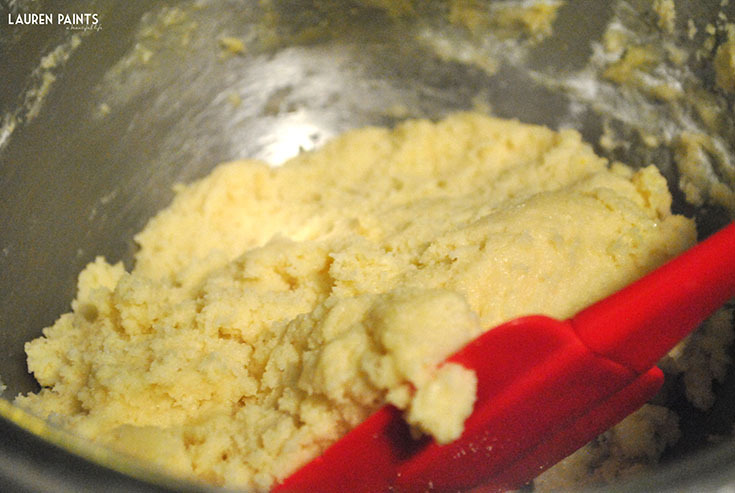 Flatten a 1 inch ball of dough into silicone baking cups. Bake at 375 for 10 minutes or until they begin just barely cracking on the top. 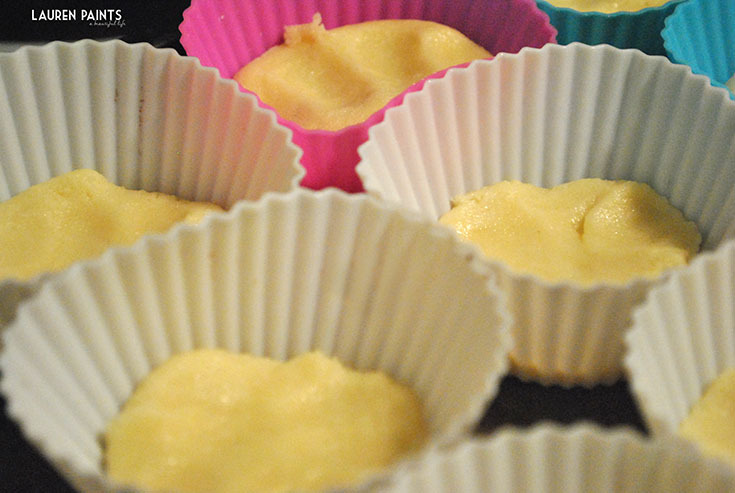 Press cookie/cupcakes down with a spoon, compressing them, and place in refrigerator to cool. Combine & Blend Key Lime Pie filling ingredients in blender. Pour Key Lime Pie filling into the silicone baking cups once the cookies have cooled and place in the freezer for 2-4 hours. Garnish with a tiny bit of lime. If you decide to make these delicious treats, be sure to come back and let me know what you think!